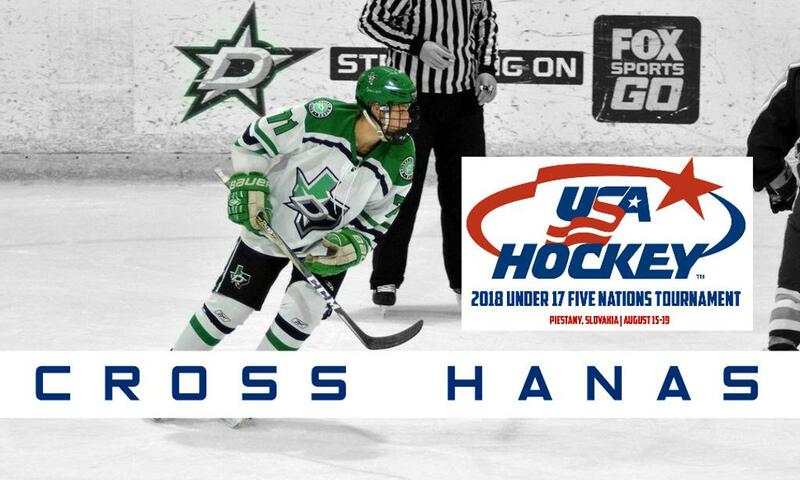 The Dallas Stars Elite would like to congratulate Cross Hanas who was selected to represent the United States at the 2018 Under-17 Five Nations Tournament. The 2018 Under-17 Five Nations Tournament is scheduled for Aug. 15-19 in Piestany, Slovakia. The U.S., which is competing alongside the Czech Republic, Germany, Slovakia and Switzerland, is seeking its fourth consecutive title at the competition. For more information including roster and schedule, please click below.